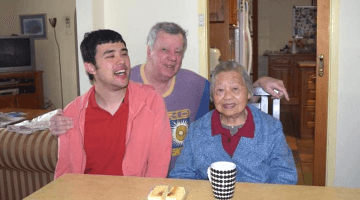 The original content is written by Alasdair Allan, posted on Hackster.io blog. Please read more here. 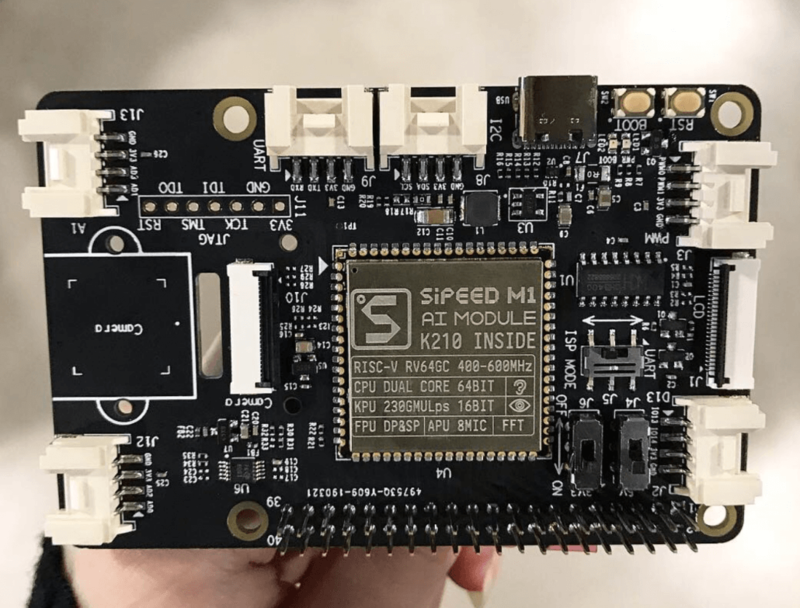 So I was rather intrigued to see a pre-announcement of yet more MAix-based hardware from Sipeed. Say “hello” to the Maixduino. The Maixduino is a MAix-based board with a “classic” Arduino form factor that is pin-compatible to the Arduino. 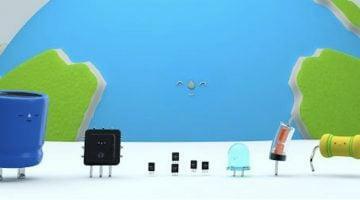 However, that’s where the similarities end, because this isn’t your average Arduino-compatible. 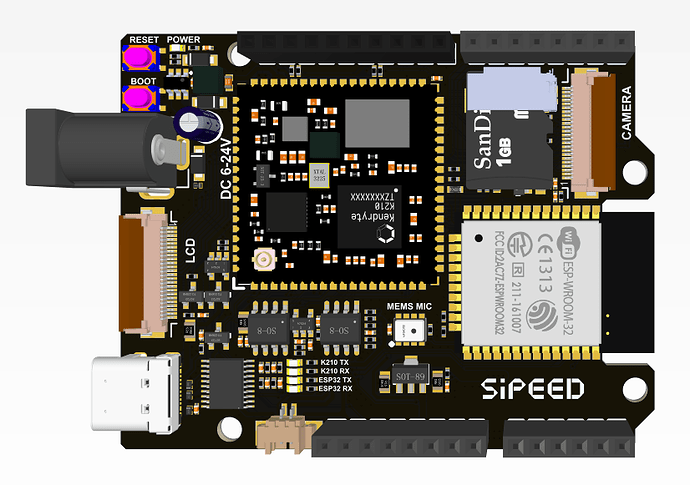 The board is built around two processor modules, Sipeed’s own RISC-V MAix module, and an Espressif ESP-WROOM-32. 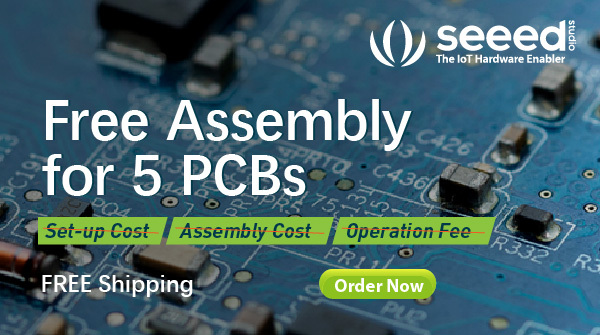 The Sipeed MAix module is based on the Kendryte K210 processor, which has two 64-bit RISC-V CPU cores, each with a built-in independent FPU, and 8Mb of SRAM. 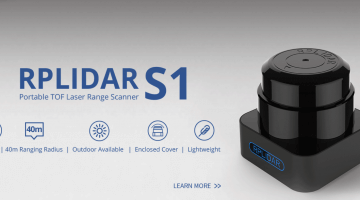 The K210 also has an onboard neural network processor (KPU) for supporting machine vision applications at up to 60fps for QVGA, and 30fps for VGA. Alongside this is an audio processor (APU) with support for up to eight microphones at sampling rates up to 192KHz, with Fast Fourier Transform (FFT) hardware acceleration. 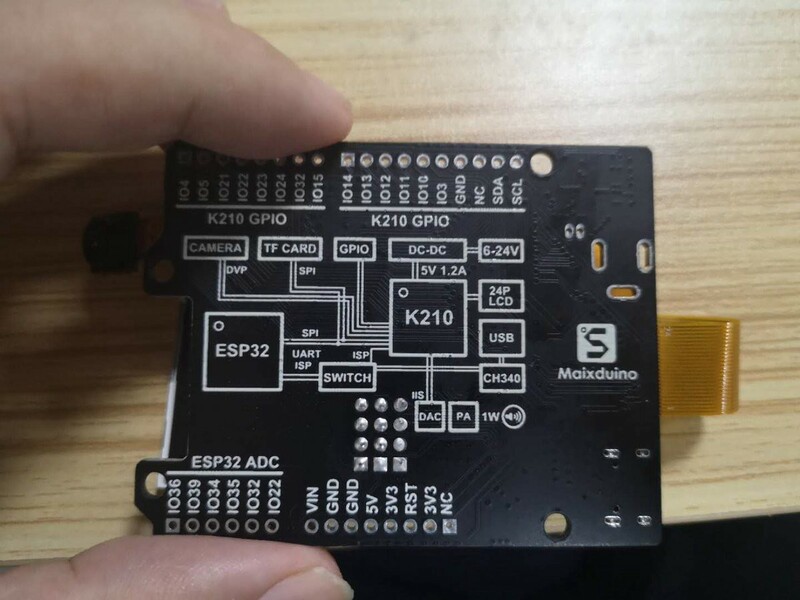 The ESP32 is fully supported in the Arduino development environment, and we’ve seen plenty of Arduino-compatible boards built around an ESP32 in both the classic and newer MKR form factors. 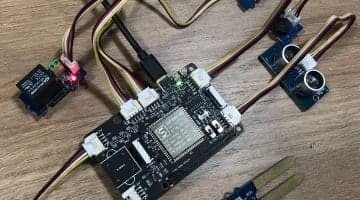 So with the MAix module already having an ESP8285 on module to offer Wi-Fi support for the new board you might be asking why the Maixduino also has an ESP32 onboard? Because it’s presumably not being used to provide wireless support. 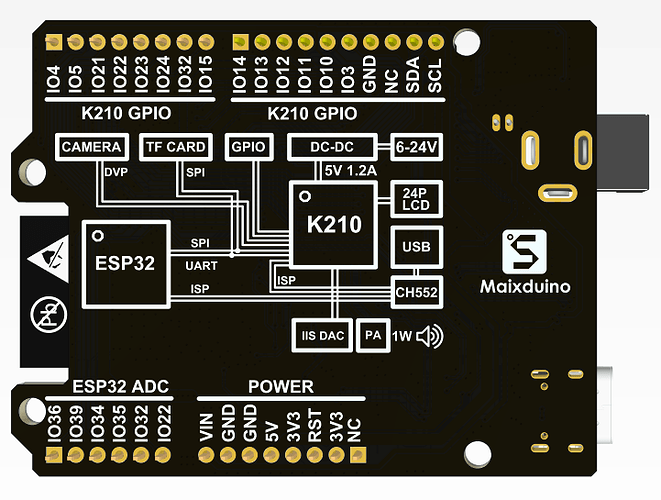 Flipping the Maixduino over shows a basic wiring diagram of how the board’s two processor modules talk to one another—it’s an intriguing addition and with multi-processor boards starting to become more common one I’d like to recommend anyone putting one together replicates—and from the pin out The ESP32 pins are broken out to add ADC support that the K210 lacks which suggests that it’s also available for other tasks. It’s there as a co-processor. Which does make me wonder what else you’re going to be able to do with it. 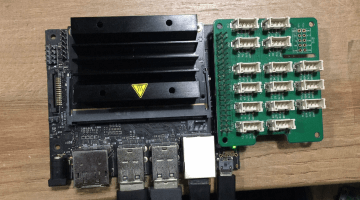 The board is powered through a USB-C socket rather than the traditional micro USB. It looks like the move to the newer USB-C standard is well underway, as about half the boards crossing my desk now have USB-C jacks. For the silkscreen, there also seems to be provision for a barrel jack capable of taking 6 to 24V DC as input, although it’s unclear whether this is going to be populated on the final board. The board has a single channel speaker PA onboard as well, allowing you to connect a 1 to 3W speaker, along with a single I2S microphone providing keyword recognition support. There is also a micro SD card slot, and both an LCD display and camera connectors. You can develop for the board either in MicroPython, or in the Arduino development environment. 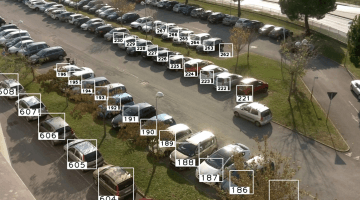 The Arduino port features full support for the neural network API, and an included object detection demo inferencing example using MobileNet v1. Support for the OpenMV development environment is also coming soon. Full details around the Maixduino haven’t been officially announced yet, but it will be released sometime this week. While there isn’t a firm indication of a price point with the MAix module itself retailing in small numbers for around $5, I’m expecting the Maixduino to cost somewhere between $20 and $30. I guess we’ll see, and I’ll report back when I get my hands on the board. 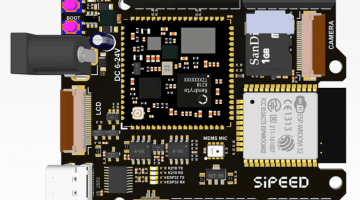 Update: Looks like Sipeed is rapidly iterating the design of the board, first images with the ESP32 module attached, and they’ve switched out the serial chip so that you can have independent UART connections to the K210 and ESP32 simultaneously. We will also released Maixduino soon in our online store. So please keep in touch with us for the update. 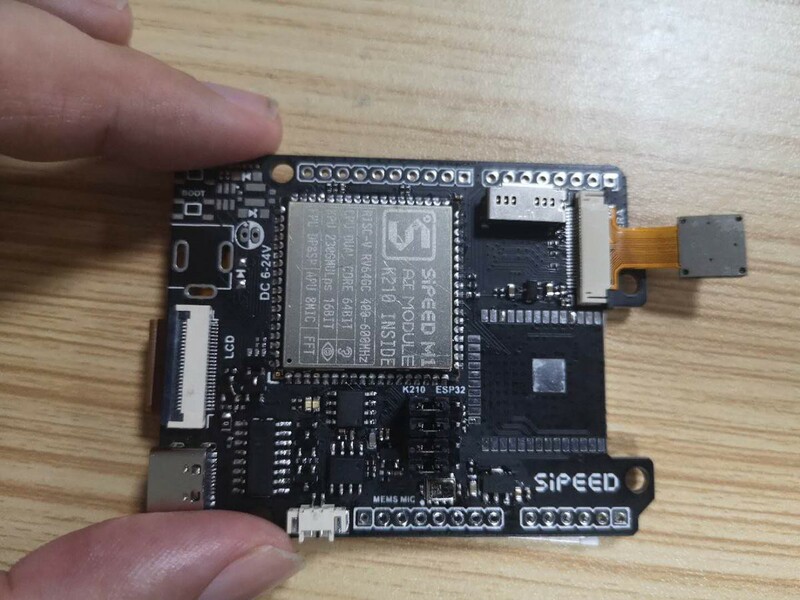 In order to bring AI to everyone, we are also going to release Grove HAT for Edge Computing with Sipeed Maix module in early May so that you can use both Arduino and Raspberry Pi t o develop AI. Check out the first look we have so far and let us know in the forum what features you would like to see and have the chance of making it to the final product. If your idea makes it to mass production, of course we will send you a free sample!! Subscribe with us now! 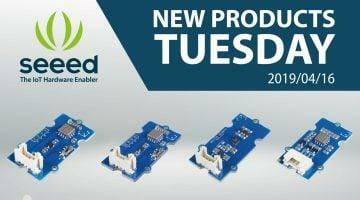 Don’t miss any updates for Hardware news and new awesome product releasing!